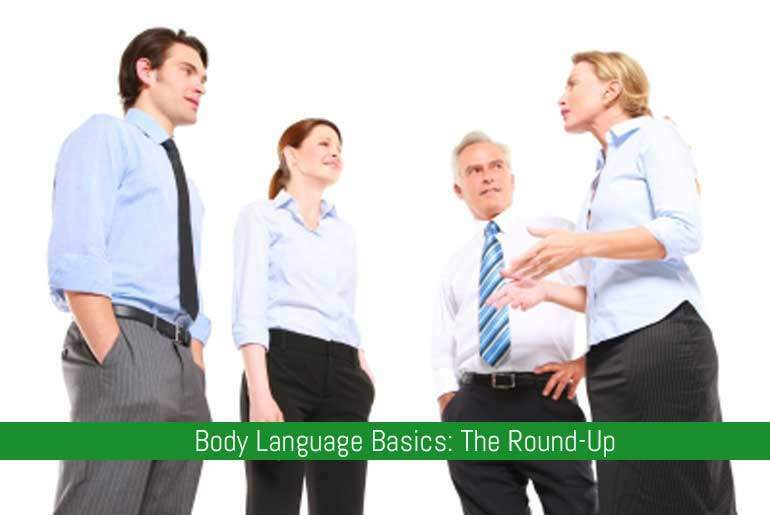 Well, here we are the the end of our month-long look into body language and how it can help you in various scenarios. As we’ve discovered over this series, body language can make up over 50% of how we communicate with people and how we’re perceived by others. How we’re standing and looking can have a huge impact on how people receive the information we’re trying to get across: it forms their opinions on whether we’re being truthful, are trustworthy and are someone that they could get along with. In this post we look at the basic concepts of Body Language, the 7 things you need to look at in order to read body language and what we’re going to cover throughout the series. We all hate feeling like we’re talking to a brick wall so in this post we look at techniques that allow you to recognise that people are closed off and how to be open yourself. This makes you appear more welcoming to those you’re conversing with so that you can have a better two-way conversations. Once you have mastered being open with your body language, you can then bring in different techniques to help in your communication with other people. There are a variety of simple techniques you can use that will help you to get your point across using non-verbal cues. We all suffer from bad habits, especially when it comes to our body language. This post will help you identify the things that annoy others, make you seem unwelcoming or arrogant and can harm the way you interact with people. Sometimes we’re not sure whether the person we’re dealing with is just being nice to us at face value rather than genuinely liking us. There are subtle tells that they will subconsciously display that will show how they are feeling about you and we look at some of these in this post. Whether it be for a new job, a catch-up with your boss or a meeting with your bank manager, we all have to deal with interview situations at some point in our lives. In this post we take a look at how you can come across better in an interview using your body language to full advantage. As a bonus, check out this great infographic from College Atlas showing common non-verbal mistakes people make during interviews. In this post we look at the subtle things that people do that indicate that they’re being untruthful – or at least economical with the truth! I know a lot of importance is placed on body language by scholars, psychologists and dreaded H.R departments, and it is something that we do act on and react to subconsciously. I believe that it’s possible to change people’s perceptions of us if we’re aware of how we use our own body language in certain situations, and how people may perceive us and what we’re trying to communicate. But, you may ask, how do we do this? It’s simple really – video yourself! It’s simple really – video yourself! A few years ago I went on a two day communication course and the first day they got us to stand up and give a little speech introducing ourselves ending with a joke (we had been pre-warned so we weren’t dropped in it!). This speech was filmed and then they sat down with us individually at the end of the first day to look at how we acted when we were talking to people. I have to admit, I was horrified! I had no idea that I came across so badly in front of other people – and not from the rubbish that was coming from my mouth but from how badly I looked. There was no eye contact with anyone, I just looked down at my feet the whole time, my arms were crossed in front of me in a classically defensive “I don’t want to be here” pose: the whole thing looked unprofessional, awkward, awful and like I had no idea what I was doing – and this was talking about me not some super-duper technical thing I was trying to sell to someone. After a few workshops on the second day we were asked to give a different speech this time, one that was directly related to our role in the company and something that we’d be using in front of clients, this again was recorded and looked over later. I couldn’t believe the change! With just a few tweaks of my body language – standing up straight, gesturing with my hands and moving my eyes around the room – I looked like a “proper” professional person who knew what they were doing and enjoyed what they were talking about! So, you may feel that there’s no hope for you in terms of your own body language but there is. Pick a passage from your favourite book and set up your camera, web cam or prop up your phone and record yourself reading. Look back over it and see what areas you can improve on – maybe you need to stand with your legs further apart, shoulders back a bit more, gesture more or hold your chin up. Keep practising until it becomes second nature and you’ll soon have people eating out of the palm of your hand all because of your mastery of body language.